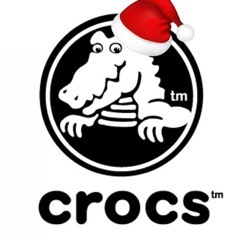 DENVER – Crocs, Inc. will help more than one thousand needy children in Denver find their merry and bright this December by letting them choose a free pair of water-proof boots, fur-lined clogs or durable sneakers to keep their feet warm and dry. The huge give-away will happen on December 13, 2014 at the Rude Recreation Center, during the five-year anniversary of the Santa’s Elves – Kids Giving to Kids event. The world leader in innovative casual footwear will donate Crocs to children residing in Denver’s housing projects, where 85% of the residents live below the poverty line. Crocs, Inc. became involved with Santa’s Elves after learning that children, not adults, make up most of the population in the state’s poorest neighborhood. Those children continually ask for footwear during the holidays. 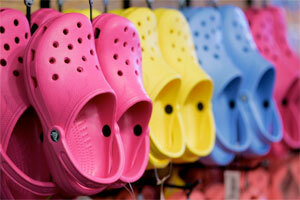 Crocs employees will help each child pick out their own pair of shoes during the giving event. That’s 1,000 shoes for 1,000 smiles. The Denver Housing Authority has identified the children as among the most underprivileged in the state. The nonprofit Santa’s Elves encourages families across Colorado to experience giving first-hand by “adopting” impoverished children and giving them gifts, face-to-face during an annual event. The goal is to inspire lifelong giving among children. “Every year we’ve been involved, my kids grow in their understanding of what it means to give back. It is starting the ripple effect of generosity in their lives,” said Jennifer Ramirez, mother of two and SE co-founder. In 2013, the charity matched families to help more than 1,200 children in Sun Valley. Want to be an elf? Go to http://www.SantasElvesDenver.org. You must register by December 5, 2014. Crocs and Santa’s Elves teamed up in 2014 to meet the needs of children in Sun Valley, Denver, after noticing most children in the area asked for new shoes during the holidays.